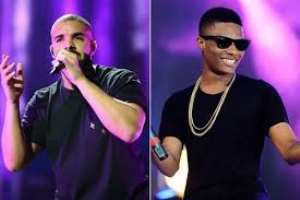 Wizkid has finally had the glorious opportunity to perform alongside US superstar, Drake during a recent concert at 02 Arena. The duo performed their hit song “Come Closer” in front of thousands of fans at 02 Arena in London over the weekend. Drake initially dodged the Nigerian music sensation during the shooting of the music video for “come closer”. This will be the first time Drake and Wizkid will be performing the song together on stage since its release in 2017. The video below shows Drake dropping the intro to the song seconds before Wizkid came and set the whole place of fire with his electrifying performance.